Gradual tire degradation goes unnoticed until a driver finds him or herself skidding sideways into the weeds. If you’re reading this site, there’s a serious chance that you’re a gearhead. We know the minutiae of the Corvette ZR1’s supercharger and can rhyme off the procedure to activate line-lock in the Mustang GT. Keeping an eye on tire wear, though? That seems mundane in comparison. Folks who have a car simply for commuting necessity may be even further in the dark as to the condition of the rubber on each corner of their family hauler. Gearhead or not, we all have a responsibility to make sure the tires on our vehicles are in good shape. After all, they’re the only thing that actually touches the road. Technically, a driver is rolling on worn tires the minute they leave the tire shop. 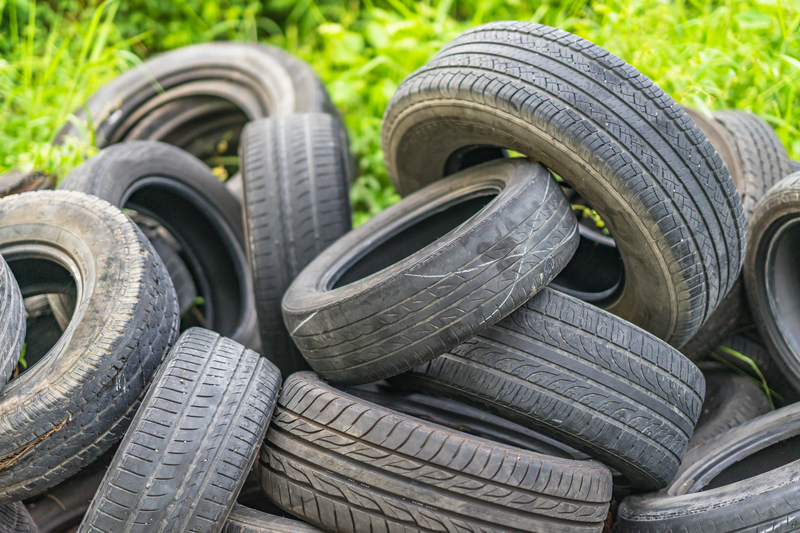 The change to a completely worn tire is gradual, sometimes taking years depending a person’s driving habits. Think of it this way. If a parent sees their child daily, they’re likely not going to realize how much Junior has grown until he’s suddenly too big for the jeans he got for Christmas. It’s only when Nan and Pop appear to say “Look how tall you are!” is the difference realized. Our perception of a tire’s performance is much the same: gradual degradation goes unnoticed until a driver finds him or herself skidding sideways into the weeds. A winter tire will wear more quickly, for example, thanks to its softer compound that plays well in the snow but gives up its life more quickly when pressed into dry pavement. Drivers who accelerate and brake with vigor will find their tires do not last as long as their more sedate roadmates. Tough weather is hard on both tires and the road surface, both of which affects a tire’s lifespan. And drivers who never check their tire’s inflation pressure or wheel alignment will find themselves wearing out rubber faster than a kindergarten kid enjoying his new eraser on the first day of school. It’s important for drivers to give their tire more than a cursory glance at least once every couple of months or before heading out on a long road trip. Here’s what to look for in particular. 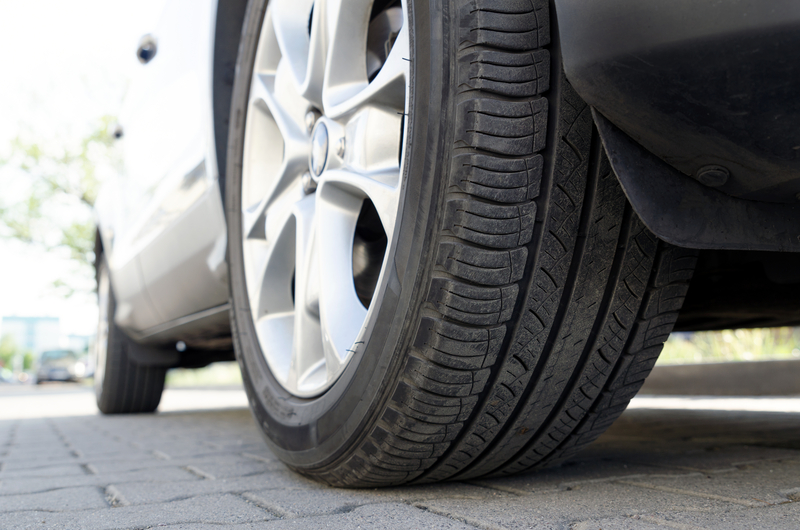 Examine the tread on your tires for any sign of uneven or odd wear. Between the tread blocks of all tires are small plain lines of rubber called ‘wear bars’. When these are exposed, a tire’s tread is worn down to the end of its useful life and has significantly less grip than it did when new. Driving on tires with this amount of wear can lead to a sudden loss of traction. Yes, the tale your grandfather used to tell of using a quarter to determine a tire’s fitness is actually true. Put the edge of the coin into the tread, with the Queen going in head first. If the top of the Queen’s head is covered by tread, that’s good. If the top of her head is entirely visible, it’s time to replace the tire. 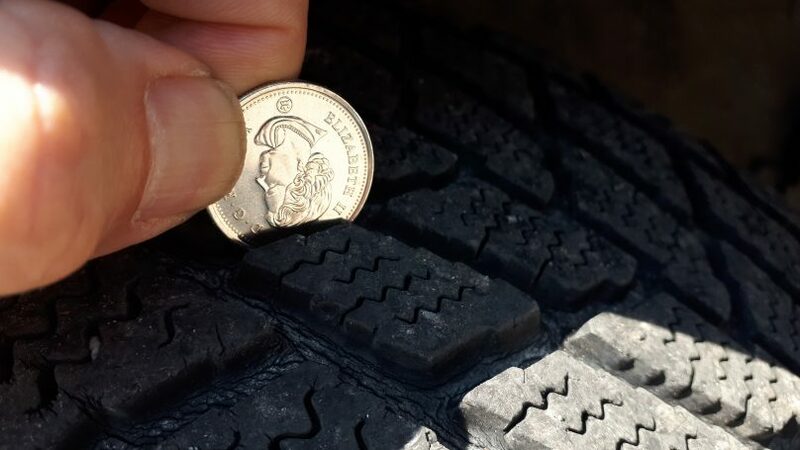 The exact tread measurement for an end of life tire in Canada is 1.6mm. Troublemakers like nails and stones stuck in the tire should be obvious and taken care of by a professional tire installer as soon as possible. Pay attention to the “feel” of your tires as you drive. 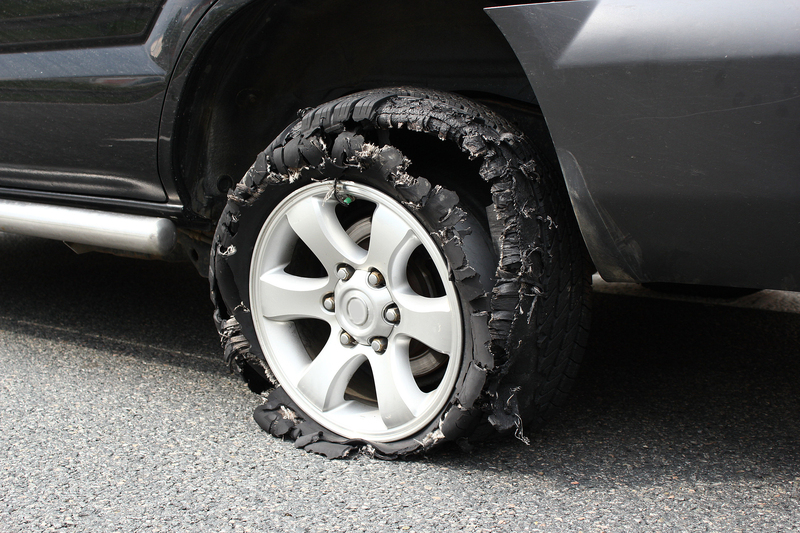 A rough ride may indicate tire damage or excessive wear. 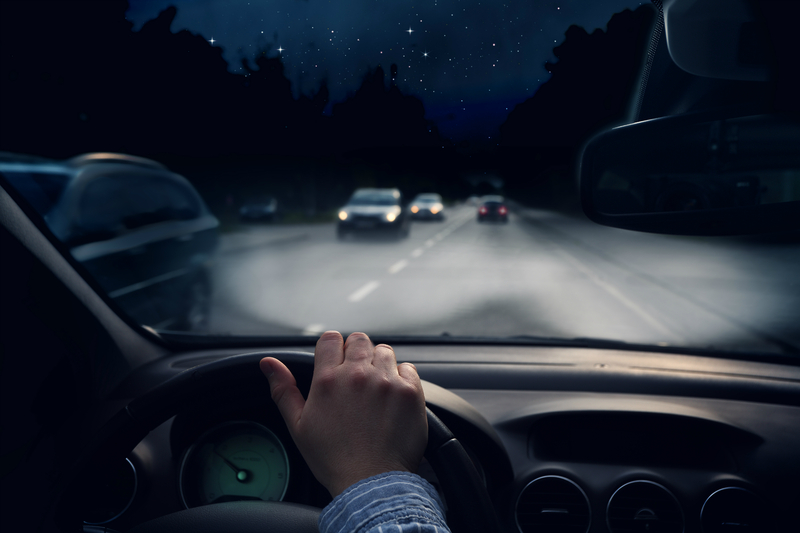 If you notice vibrations or other weird disturbances while driving, reduce your speed and drive with caution until you can safely pull off the road and stop. If a tire is damaged, replace it with your spare (call Roadside Assistance if you’re not able to do this yourself). 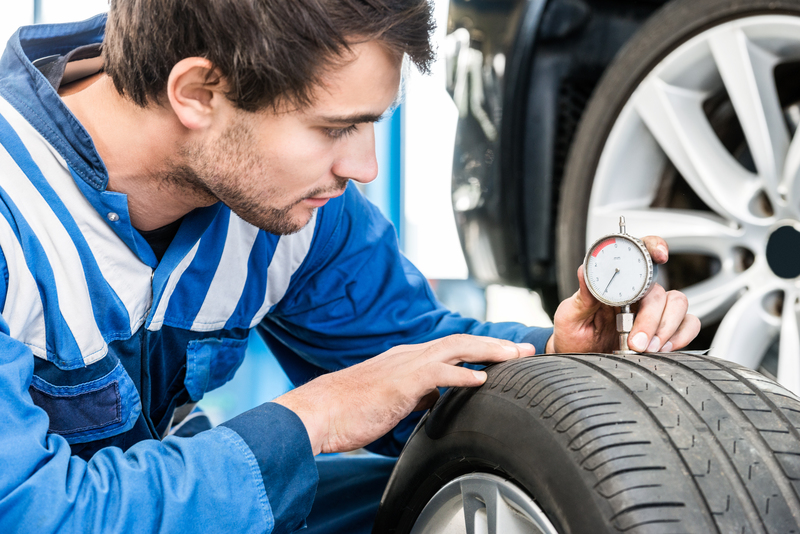 If you do not see any tire damage and cannot identify the source of the vibration, take the vehicle to a tire dealer for a thorough inspection. 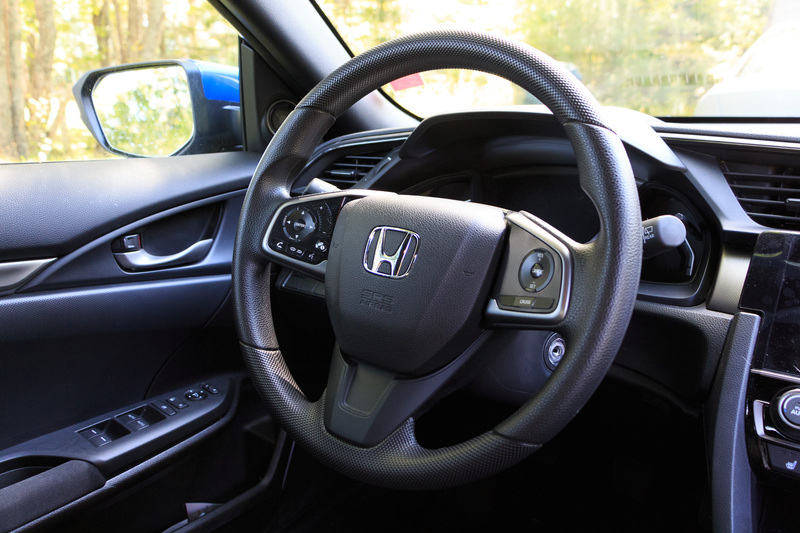 The owner’s manual supplied with your vehicle will list the optimal amount of air that should be in each tire, generally stated in the measure of pounds per square inch and denoted as ‘psi’. A tire pressure gauge will be necessary to perform this task, and its instruction manual will have detailed instructions on how to use it. Even if all of the above is good-to-go on your set of rubber, make sure your tires aren’t aged to the point of it being a problem. Simply because they were purchased two or three years ago doesn’t mean that’s their actual age. 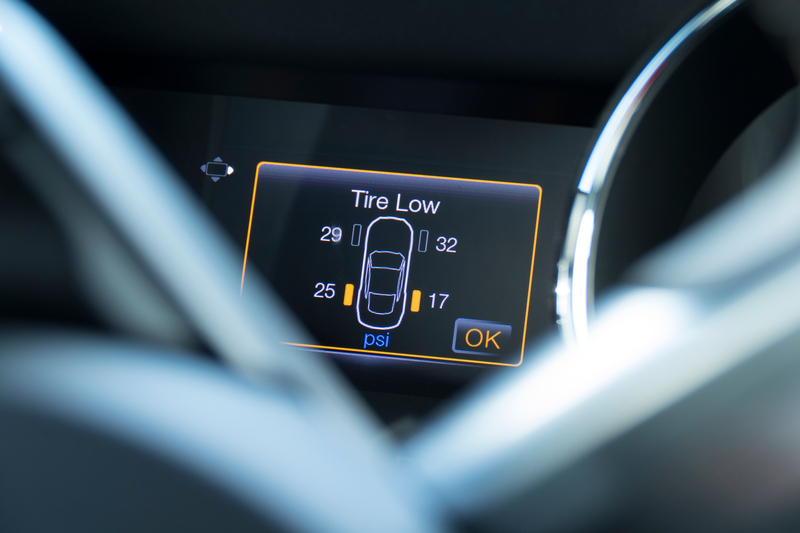 Every tire has a date code, a four-digit number inside an oval stamped on the tire’s sidewall, generally found at the end of a line of numerals starting with “DOT”. The first two numerals describe the week the tire was made, the last two describe the year. For example, 1618 indicates the tire was manufactured on the 16th week of 2018. Many major tire manufacturers recommend replacing tires at the five year mark, even if the tread is deep. 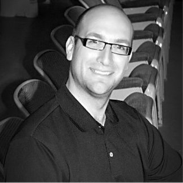 The experts at Quattro Tire.com will be able to get you a new set of tires for whatever vehicle you’re piloting. Best of all they are fully Canadian.